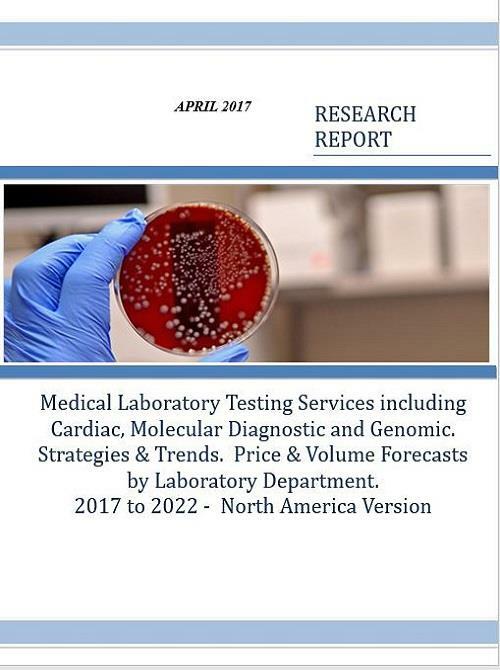 “Medical Laboratory Testing Services including Cardiac, Molecular Diagnostic and Genomic. Strategies & Trends. Price & Volume Forecasts by Laboratory Department. 2017 to 2022 - North America Version" provides data that analysts and planners can use. Hundreds of pages of information including a complete list of Current 2017 United States Medicare Fee Payment Schedules to help sharpen your pricing. Make facilities planning decisions. Forecast demand for new testing regimes or technologies. Make research investment decisions. The report includes detailed breakouts for 3 Countries and 1 Region. A detailed breakout for any country in the world is available to purchasers of the report.